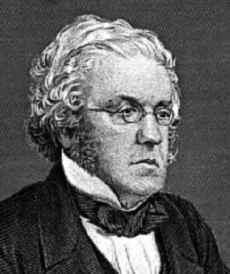 William Makepeace Thackeray was born in Calcutta, India, the only son of Richmond Thackeray, a Collector in the East Indian Company's service. After his father died he was sent to home to England. He was educated at Charterhouse and at Trinity College, Cambridge. Thackeray abandoned his studies without taking a degree, having lost some of his inheritance of twenty thousand pounds through gambling. In the beginning of the 1830s he visited Germany, where he met Goethe. During the years 1831-33 Thackeray studied law at the Middle Temple, London, but had little enthusiasm to continue his studies. In 1833, he brought the National Standard, but lost his fortune a year later in the Indian bank failures and other bad investments. After art studies in Paris, Thackeray returned to London in 1837 and started his career as a hard-working journalist. Often he used absurd pen names such as George Savage Fitz-Boodle, Michael Angelo Titmarsh, Théophile Wagstaff, and C.J. Yellowplush, Esq. In 1836 he married a poor Irish girl, Isabella Shawe; they had three daughters. Thackeray began to contribute regularly to Fraser's Magazine, Morning Chronicle, New Monthly Magazine and The Times. His writings attracted first attention in Punch, where he satirized English snobbery. These sketches reappeared in 1848 as The Book Of Snobs, stating in it that "he who meanly admires mean things is a Snob." In 1840, Isabella Thackeray suffered a mental breakdown, from which she never recovered, although she survived Thackeray by thirty years. The author was forced to send his children to France to his mother. The children returned to England in 1846 to live with him. In the 1840s, Thackeray started to gain a name as a writer. In Vanity Fair he gave a panoramic picture of high life in England, and created one of the most fascinating and immoral female characters, Becky Sharp. The book brought him prosperity and made him established writer and popular lecturer in Europe and in the United States. The History of Henry Esmond appeared in three volumes in 1852, and reflected the melancholic period in the life of the author. By the end of his career, Thackeray's disillusionment with contemporary culture seems to have deepened. In The Adventures of Philip (1862) the protagonist, Philip, is out of place in a world that does not accommodate his vision of masculinity. Thackeray said that he couldn't start a novel until he knew every aspect of his characters. He called Victorian times "if not the most moral, certainly the most squeamish." Once, as an editor, he rejected an Elizabeth Barrett Browning poem because it employed the word harlot. Thackeray became in 1860 the first editor of the Cornhill Magazine, for which he wrote his Roundabout Papers, Love The Widower, The Adventures of Philip and the unfinished Denis Duval. Thackeray was less successful in his attempt to stand for Parliament. He died suddenly on Christmas Eve, 1863, and was buried in Westminster Abbey. During the Napoleonic Wars, Becky Sharp raises herself from poverty to a high social standing, and her friend, Amelia, finds love.